We need your help to make sure that the Derry Walls are recognised as a national treasure. The Derry Walls and Walls400 have been shortlisted as one of 12 National Treasures in the Northern Ireland regional section of the National Lottery’s ‘What’s Your National Treasure’ campaign . We are up against the Albert Clock (Belfast), The Giant’s Causeway Visitor Centre, The Lyric Theatre (Belfast), The Metropolitan Arts Centre (Belfast), The Odyssey Complex (Belfast), SS Nomadic (Belfast), Sam Thompson Landmark Bridge (Belfast), St Patrick’s Visitor Centre (Downpatrick), The Strule Arts Centre (Omagh), Ulster Hall (Belfast), Ulster Museum (Belfast). Many of these landmark buildings or sites are owned by large public, private and community sector organisations with PR departments at their disposal. 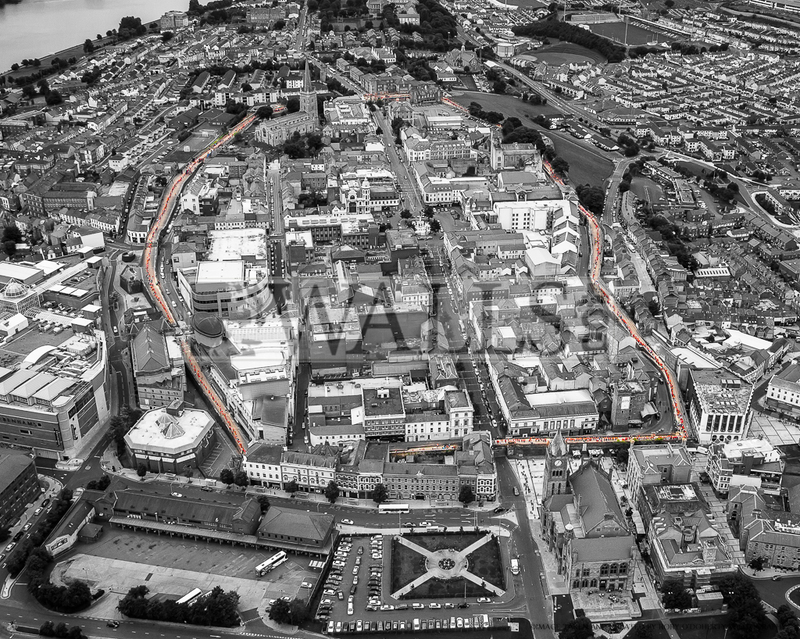 Walls400 and the City Walls Heritage Project is the only dedicated resource working to promote the heritage of the Derry Walls as an educational and economic resource. We are a minnow in comparison to the task and the competition. Hence why we need your personal help and the help of your employer or any other organisation that you are a member of. We need you not only to vote for Derry Walls. We need you to ask your friends and colleagues to also vote for us. Your organisation or employer might be persuaded to adopt this campaign as their own. It would be great if they could ask all employees/members to also vote for Derry Walls by the Tuesday deadline. Walls400 is trying to secure significant grant-aid to improve the presentation and understanding of the Derry Walls and it is important that people, locally, and supporters further afield, use the opportunity of this public vote to send out a loud message to potential funders that we believe that the Derry Walls are a national treasure. Votes can be cast on www.nationallotterytreasures.co.uk or Facebook.com/LotteryGoodCauses until midnight on Tuesday 27 May. People taking part in the survey will be able to share their participation and will also have a chance to win one of five iPad Airs.